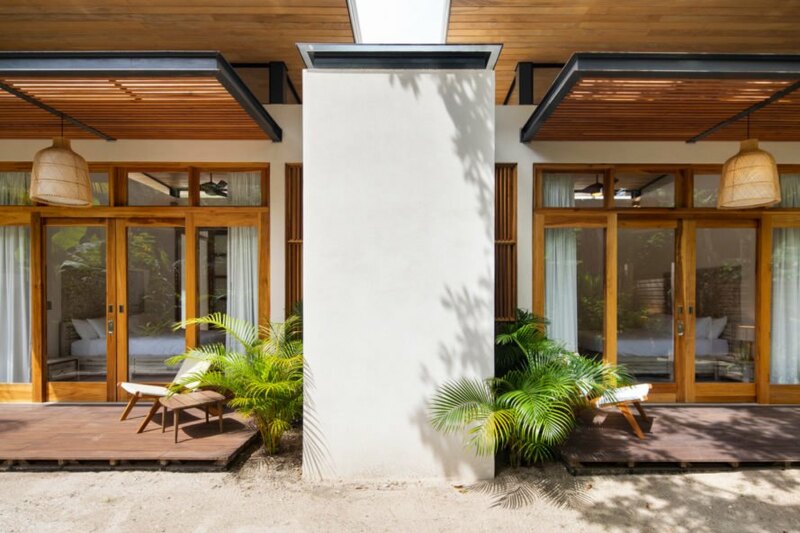 Located mere steps away from idyllic white sand beaches on one side and a coconut grove on the other, this beach house designed by Studio Saxe is giving us major home envy. 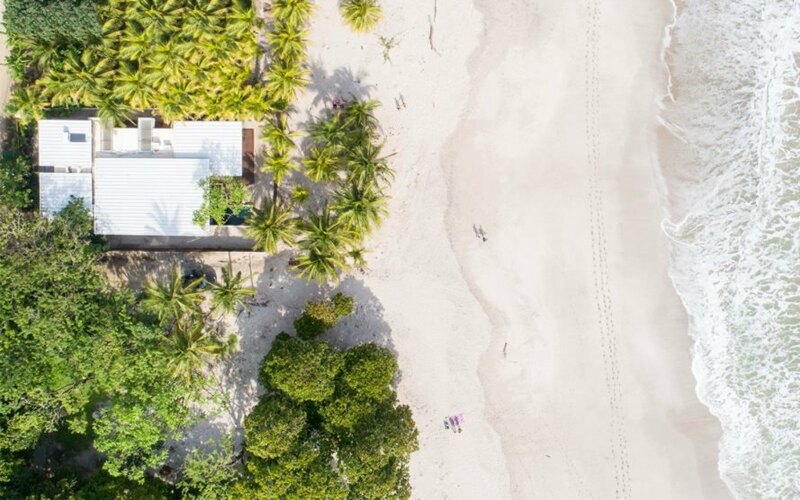 Situated on Costa Rica’s Pacific coastline, the spacious 3,250-square-foot Villa Akoya’s beautiful aesthetic hides several passive strategies designed to reduce the home’s energy use and impact on the environment. The breathtaking location serves as the principal inspiration for the design. Built using traditional cinder block construction, the one-story home was was raised off the ground to create a continuous sight line with the ocean views. This feature also helped reduce the footprint on the landscape. 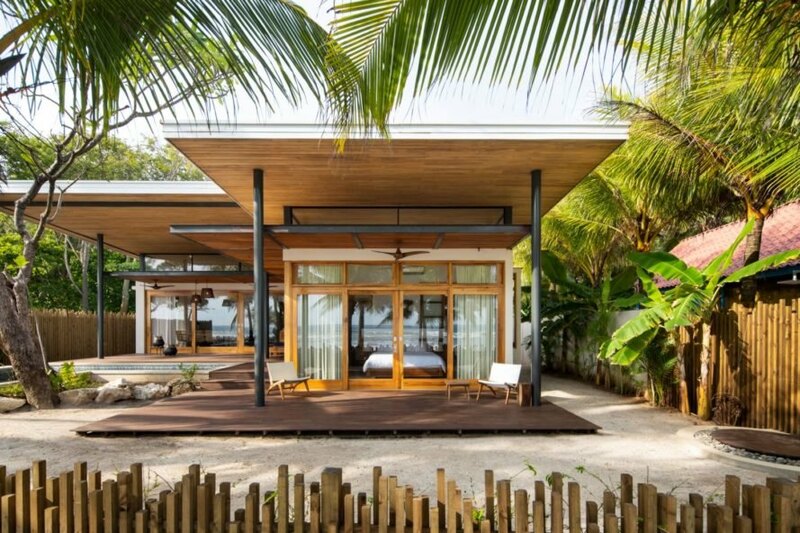 The beach house’s dimensions are divided into four separate horizontal roof planes that slant slightly upward, covering each of the three bedrooms plus the main living area. This strategy creates distinct volumes within the structure. 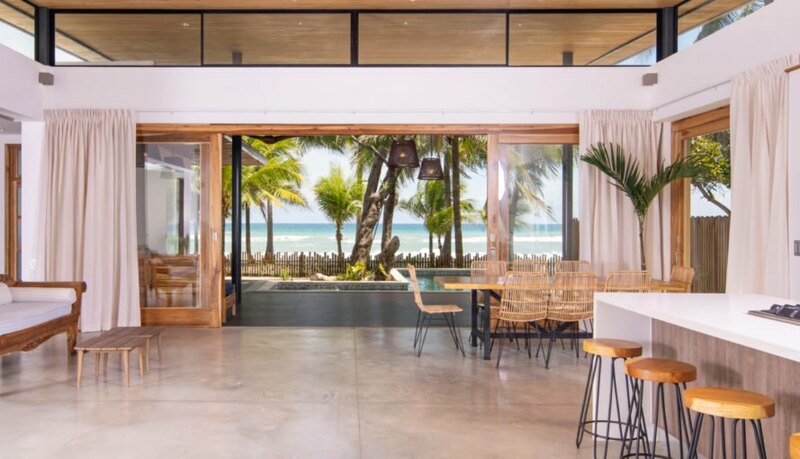 Additionally, the flat wooden roofs extend out over the exterior walls to create large overhang extensions that shade the interior while creating several indoor-outdoor living spaces around the exterior. The interior layout includes several spaces that are open to the exterior, creating a seamless connection between the indoors and outdoors. 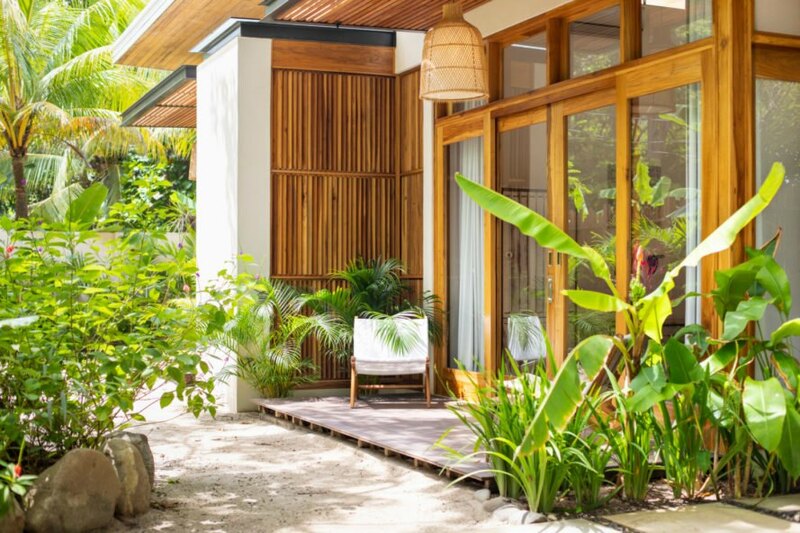 All of the bedrooms have their own outdoor spaces, and an all-glass wall in the living room slides completely open, leading to a wooden deck and a swimming pool. 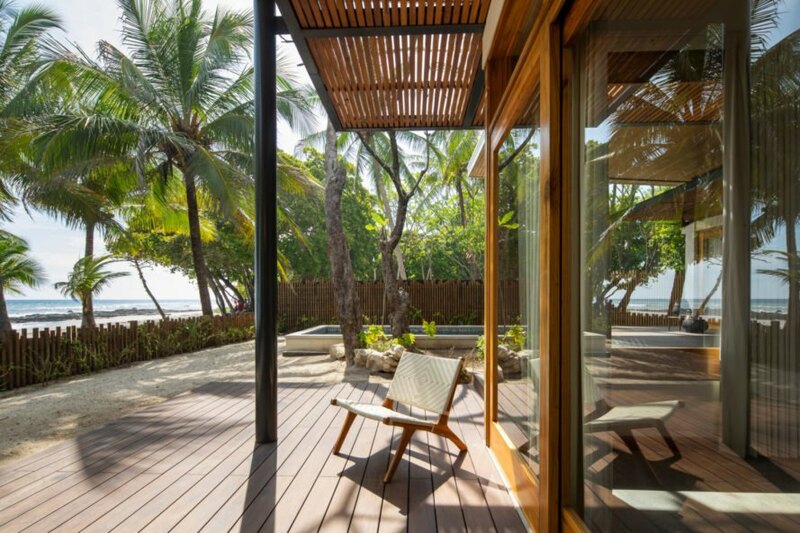 Concealed within the design are several passive features to create an energy-efficient beach house. The “elevated” roof lines create a natural system of air ventilation, cooling the home in the hot summer months. The abundance of windows and glass doors brighten the interior during the day, further reducing the need for electricity. The home also operates on solar-generated hot water and has a gray water system. 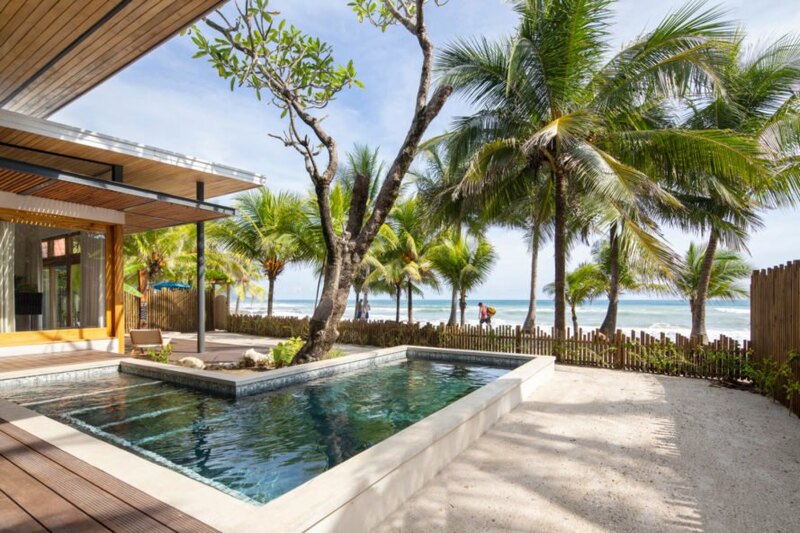 The 3,250-square-foot Villa Akoya was designed by Studio Saxe. The family vacation home is a one-story structure with several outdoor spaces. The outdoor spaces are shaded by the wooden roof. The home was built off the ground for minimal impact to the environment. The interior living space completely opens up to the exterior. 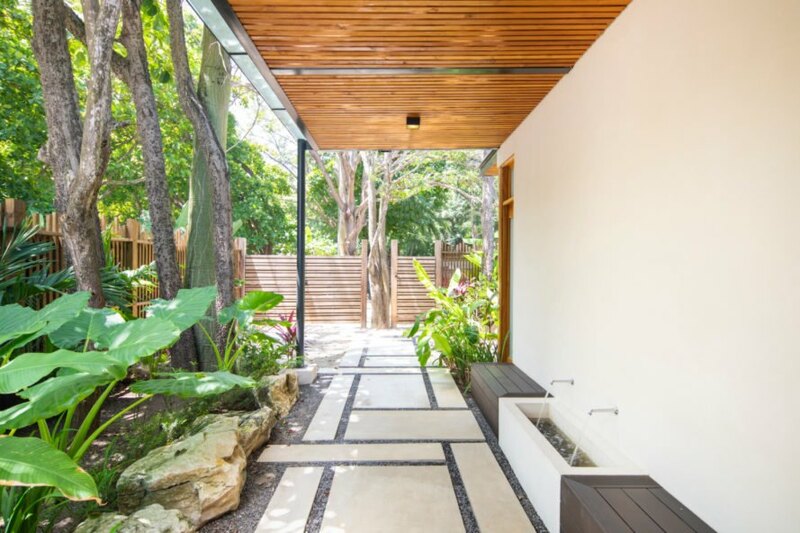 The wooden roof overhangs create several outdoor spaces around the home's exterior. An abundance of windows lessen the dependence on artificial lighting. The design is minimalist and modern. The home is shaded by several large trees. Large concrete pillars give the home character. The front of the home features an open-air deck with a swimming pool. The home was designed to blend into and embrace its surroundings. The house is just steps from the beach.